The Canadian media had reported that Trudeau stood by the senior government official regarding his remarks on the embarrasing invitation to Atwal. New Delhi, February 28, 2018 (TMC Desk) The government on Wednesday said it had nothing to do with the presence of Jaspal Atwal, convicted for an attempt on life of then Punjab Minister Malkiat Singh Sidhu, at an event hosted by the Canadian High Commissioner in Mumbai and any suggestion to the contrary is “unacceptable and baseless”. External Affairs Ministry spokesperson Raveesh Kumar made the remarks in response to a media query after reports that Canadian Prime Minister Justin Trudeau had stood by a senior government official who floated the theory that “rogue political factions” in the Indian establishment “orchestrated” the embarrassing invitation to Atwal to make the Canadian government appear sympathetic to Sikh extremism. 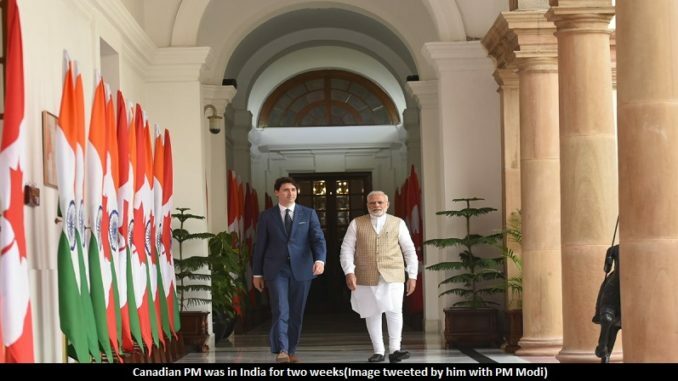 “We have seen the exchange in Canadian Parliament on the two invitations issued to Jaspal Atwal by the Canadian High Commissioner, for functions hosted in honour of the then visiting Canadian Prime Minister Justin Trudeau to India. 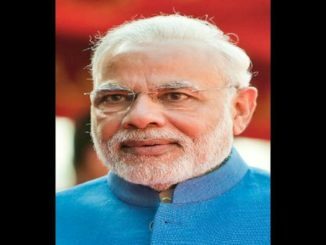 “Let me categorically state that the government of India, including security agencies, had nothing to do with the presence of Jaspal Atwal at the event hosted by the Canadian High Commissioner in Mumbai or the invitation issued to him for the Canadian High Commissioner’s reception in New Delhi. Any suggestion to the contrary is baseless and unacceptable,” External Affairs Ministry spokesperson Raveesh Kumar told the media here. The invitation to Atwal for the Delhi reception was later rescinded. Atwal was convicted in the attempt on the life of Punjab Minister Malkiat Singh Sidhu in 1986 when he was visiting relatives in Canada. Atwal was also charged — but not convicted — in the 1985 attack on Ujjal Dosanjh, who later became British Columbia premier and a federal Liberal Cabinet minister. The Opposition in Canada hit out at Trudeau in Parliament on Tuesday — his first since his India trip — over how Atwal was invited to the reception at Canadian High Commissioner Nadir Patel’s residence in New Delhi. In a background briefing arranged by the Canadian Prime Minister’s Office, a senior government official last week suggested that Atwal’s presence “was arranged by factions within the Indian government”. The Canadian media identified the official as Trudeau’s National Security Adviser Daniel Jean. The opposition pressed Trudeau to say whether he agreed with Jean’s “conspiracy theory”.